Johann Hermann Schein (1586 – 1630) was a German composer of the early Baroque era. He was born in Grünhain and died in Leipzig. He was one of the first to import the early Italian stylistic innovations into German music, and was one of the most polished composers of the period. Schein was one of the first to absorb the innovations of the Italian Baroque—monody, the concertato style, figured bass—and use them effectively in a German Lutheran context. While Schütz made more than one trip to Italy, Schein apparently spent his entire life in Germany, making his grasp of the Italianate style all the more remarkable. His early concertato music seems to have been modeled on Lodovico Grossi da Viadana's Cento concerti ecclesiastici, which was available in an edition prepared in Germany. 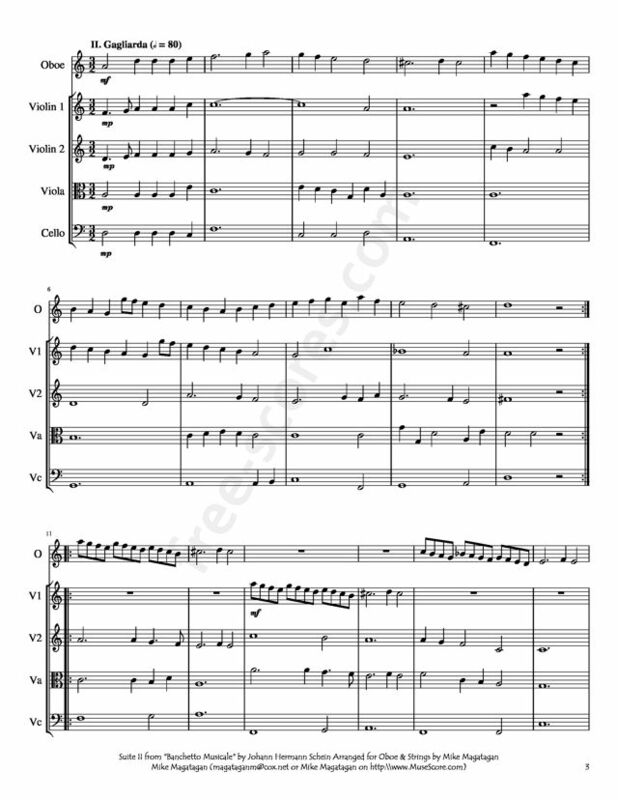 Unlike Schütz, who concentrated mainly on sacred music (although it must be borne in mind that at least two operas composed by him, among other secular works, have been lost), Schein wrote sacred and secular music in approximately equal quantities, and almost all of it was vocal. In his secular vocal music he wrote all of his own texts. Throughout his life he published alternating collections of sacred and secular music, in accordance with an intention he stated early on — in the preface to the Banchetto musicale — to publish alternately music for use in worship and social gatherings. The contrast between the two kinds of music can be quite extreme. While some of his sacred music uses the most sophisticated techniques of the Italian madrigal for a devotional purpose, several of his secular collections include such things as drinking songs of a surprising simplicity and humor. Some of his works attain an expressive intensity matched in Germany only by those of Schütz, for example the spectacular Fontana d'Israel or Israel's Brünnlein (1623), in which Schein declared his intent to exhaust the possibilities of German word-painting "in the style of the Italian madrigal." Possibly his most famous collection was his only collection of instrumental music, the Banchetto musicale (Musical banquet) (1617) which contains twenty separate variation suites; they are among the earliest, and most perfect, representatives of the form. Most likely they were composed as dinner music for the courts of Weissenfels and Weimar, and were intended to be performed on viols. 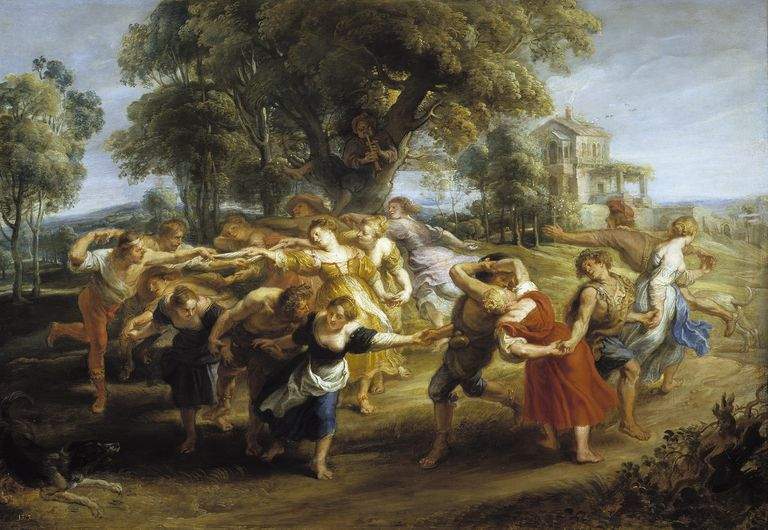 They consist of dances: a pavan-galliard (a normal early Baroque pair), a courante, and then an allemande-tripla. Each suite in the Banchetto is unified by mode as well as by theme. 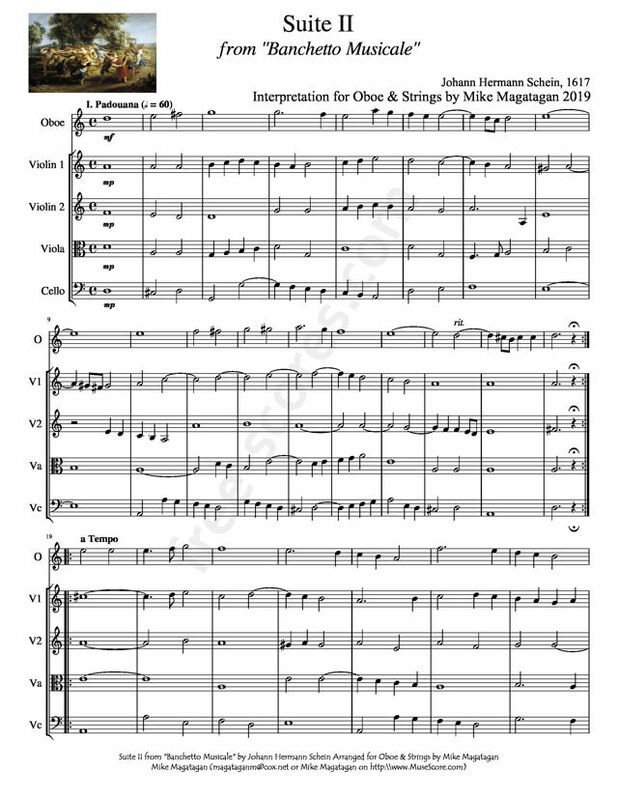 Although originally written for five (5) Recorders (Canto, Quinta, Alto, Tenore & Basso), I created this Interpretation of the Suite II from "Banchetto Musicale" for Oboe & Strings (2 Violins, Viola & Cello). 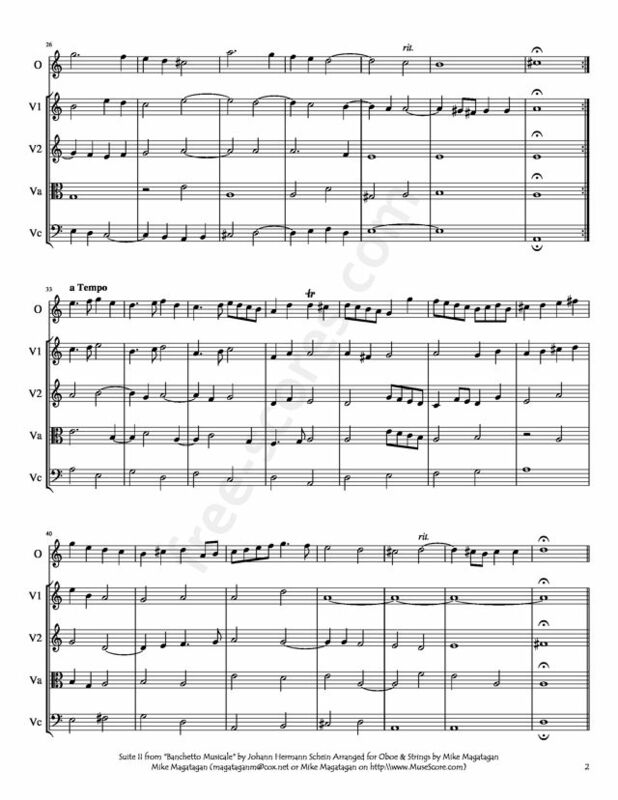 › "Tenor Aria" for Clarinet Quintet - 5 clarinets (B-flat) , 1 bass clarinet.